Inflation in the Eurozone surprisingly slowed to 0.4% last month, against 0.5% expected. This is the weakest level in nearly five years and maintains the pressure on the ECB to kick-start growth with monetary easing. Strangely though, given the steep sell off in equities, investors did not rush headlong into the safety of the dollar, with the EUR/USD pair dropping just 7 points to $1.3389. Economic confidence in the Eurozone unexpectedly rose in July despite growing geopolitical tensions. However, spread betting investors favoured the dollar yesterday as better than expected US growth figures reignited speculation that interest rates hikes are not far off. 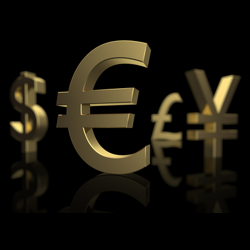 Consequently, the EUR/USD pair continued to drop, losing 12 points to $1.3396. With German bond yields falling to record lows and deflation remaining a real risk, some traders are wondering whether we are seeing the calm before the storm. Either way, the euro resumed its slump against the dollar yesterday, losing 31 points to $1.3408, as a new set of sanctions against Russia sent investors into the safety of the US currency. The shared currency gained 8 points versus the US dollar to $1.3439 largely on the prevailing risk-on sentiment in global CFD markets. Although the US economy might have recovered less than initially predicted in the second quarter, the Fed will eventually move towards hiking rates before their European counterparts. This would suggest that dollar strength could be with us for a while.